As a part of the Banned Books Week Giveaway Hop hosted by I Am A Reader and Book Hounds, I am giving away a Kindle copy of George Orwell’s 1984. Out of all the banned and challenged books, I chose 1984 for the giveaway because it was the first classic I read as a teen that really shocked me and made me think about how different life could be and what living in such a society could do to a person. 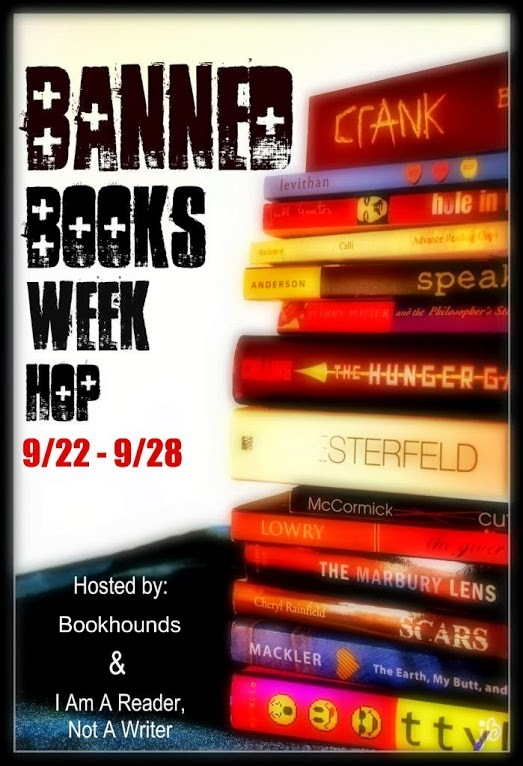 So…what is banned books week? I would have to say the Hunger Games i want to read this book bad. Love Hunger Games 🙂 Good luck in the giveaway!! A popular choice 🙂 Thanks for stopping by! Most of them! Harry Potter, Twilight, The golden Compass, The Hunger Games, Ender's Game, Captain Underpants, etc. Love the Harry Potter books too 🙂 Thanks for stopping by! Lol! I'm right there with you 🙂 I was really surprised when I looked at the list and found so many great books. Thanks for stopping by. It crazy to think The Hobbit was ever on this list! Thanks for stopping by Linda! Great pick! Thanks for stopping by Jane!